Market development applies an increasingly strong pressure on products development and costs. The use of proprietary operating systems with high unit license fees is no longer bearable. The use of free software Linux seems to be a very attractive alternative. With the increasing performance of modern microprocessors, the implementation of the latest versions of the free Linux operating system can meet the very complex embedded systems technical requirements as well as increased market needs in functionality. 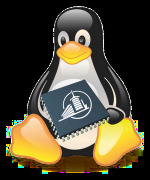 With the "Fribourg Linux Seminar", the iSIS (institute of Smart and Secured Systems) of HEIA-FR offers a biennial exchange platform for all actors developing Embedded Systems under Linux. We are also on Twitter and you can download the flyers and handouts of the previous seminars from our GIT repository.